The BV Health Foundation supports funding to the eight areas listed below, in addition to our active campaigns. If you are making a donation of any kind, you can specify which fund or campaign you would like your gift directed to and we will do so. See our campaigns page if you are looking for information on a specific project. Straight Cash – a onetime cash (or credit card) gift will see a charitable receipt issued. As per our policy, you may designate which of our 8 funds or active campaigns to attribute your gift to. On Going Donation – small amounts can add up. We can set up an automatic debit from your credit card or bank account and issue you an annual charitable receipt for the total. Payroll Deduction – some employers will take (and often match!) a payroll deduction and send it to the charity of your choice. The gift comes in your name and you will receive a charitable receipt. Investments – to encourage donations, the federal government changed the rules about paying capital gains tax on investments donated to charity. You no longer have to pay the capital gains tax on investments donated directly to charity. So, if you have an investment that you paid $10,000 for and it is now worth $25,000, you can donate it and get a $25,000 receipt – even if it only cost you $10,000. Property – the gift of his residence was left in the will of Robert. E. Hess and was the catalyst for the creation of the BV Health Foundation! Business Shares – though more complex, the Foundation has been in receipt of shares of a business, which was a very generous gift. Gifts in Kind – product or services from your business that the Foundation is able to auction, sell, or use as a prize is a very helpful gift and can be used as sponsorship in exchange for advertising, or as a gift eligible for a charitable receipt. Speak to the Executive Director for details. Sponsorship – essentially used to purchase advertising, this contribution is not eligible for a charitable receipt, but can often be deducted from the business’ taxes as an advertising expense. Sponsorships get most charity events on wheels and in the planning process. Without sponsorships, the BV Health Foundation would not be able to host its signature event, the Annual Fundraising Gala. First let’s look at the Charitable Donation Tax Credit. The government of Canada realizes that charities need help, so they provide an incentive for doing so in the form of a tax credit. In BC for instance you will get a 20.06% tax credit on your first 200 donated. On anything over that amount up to 75% of your income you get a 43.70% tax credit. There is a charitable giving calculator available on my website: click here to access the calculator. This will let you see just how much less taxes you would need to pay. Currently there is another tax credit you can receive called a super tax credit for first time donors, or if neither you nor your spouse has donated since 2007. This would provide you an additional 25% in tax credits. This can only be claimed once and has to be done before 2018. 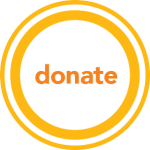 Online: Click the “donate” icon to be directed to our secure online donation site. By Mail: Send your donation to PO Box 551, Smithers BC V0J 2N0. We accept cash, cheques, and money orders (please do not mail cash), as well as Visa and Mastercard. In Memoriam: We also accept “In Memoriam” donations in honour of your loved one, which can be applied toward any of these funds. If you wish to make a bequest to the Foundation as part of your estate planning, please contact us directly at info@bvhealthfoundation.ca or 250.877.7639.